Amber Rose at the Radio Shack Event in California, This is a different look hill billy chic, a table cloth can go a long ways. 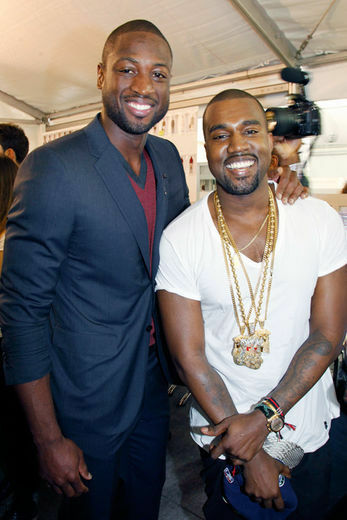 Mean while Yeezy was chopping it up at Louis Vuitton Mens Paris summer fashion show with Dwayne Wade. I have o say that it is refreshing that men are getting into fashion and stepping their game up ( dudes from Harlem always set the bar though) so shout out to my Harlem dudes we been seen y'all swag.